Sandy Coldwell Higham has a birthday today. Sandy Coldwell Higham has a birthday today. New comment added. Sandy Coldwell Higham added a comment on Art Workman's Photo. New comment added. Sandy Coldwell Higham added a comment on her Profile. 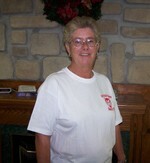 Sandy Coldwell Higham has left an In Memory comment for Pam Walker Gleason. Sandy Coldwell Higham has left an In Memory comment for her Profile. New comment added. It is hard to believe that we have lost another dear classmate. Rene was such a very special person, who could make you laugh at the drop of a hat. Rene know that we all did/do love & care for you, you will always hold a special place in all our hearts. We will miss you very much. Sandy Coldwell Higham posted a message. Welcome Bill, it is about time!!!! Sandy Coldwell Higham posted a message. New comment added. Sandy Coldwell Higham added a comment on Lloyd Probst's Profile. Sandy Coldwell Higham has left an In Memory comment for Melanie Christian Dudash. Mel & I had visited Melanie several times in Fla., her husb Marvin was a really super nice guy, & was a hay farmer. She had her horses & was into raising exotic birds, from the eggs. We would talk on the phone occasionaly, & she called when they moved to Virginia. We never did get there to see them, when Marvin died unexpedly she was so crushed. When I got the word Melanie past away I was so sorry we hadnt made it to her log house, she loved it so. Yes Mel & I had a lot of memories with Melanie. I remember when she came to the Bash, one of the very 1st, & our son, Jeff came down to tell us he was back from his vacation. Melanie was talking to us & we introduced him to her. Melanie pop up & said "and just think, I could have been your Mother." Jeff's look was priceless. Mel had been dating her before he & I started dating. Sandy Coldwell Higham has left an In Memory comment for Rhonda Short Cooke. The reunion committee met at Big Daddy's to go to the visitation of Rhonda, on that Sunday. Taking with us the card we had all signed for her, we gave the card to her sons. They couldnt believe & were so appreciative that we had done this for her & had come to present them with the card. Becky it was soooo good seeing you & I hope you do come in for the fair & all the other things we do. If your in town please let us know so we can meet for lunch or dinner. We have missed you, & so glad you did come to the 50th. Pam Walker Gleason posted a message on Sandy Coldwell's Profile. New comment added.